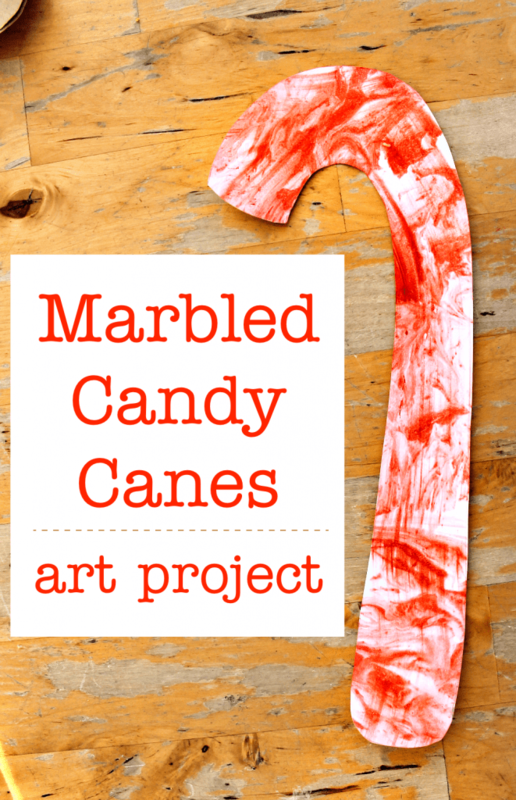 Try this easy shaving foam marbling technique to create a pretty candy cane art project. Shaving foam marbling is a wonderfully sensory art technique that creates a unique design with every print. 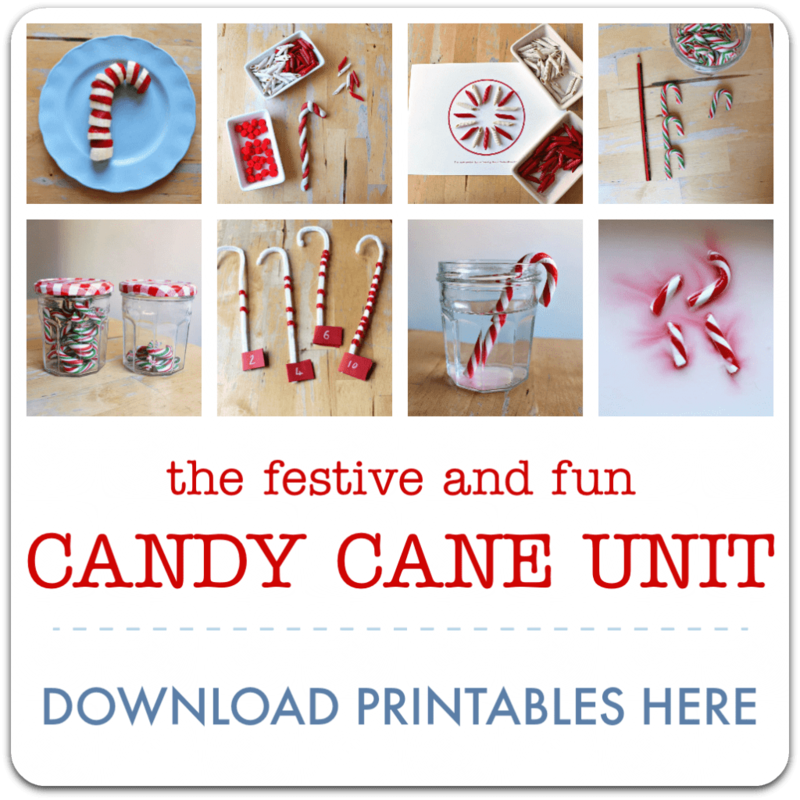 Begin by cutting out a candy cane-shaped piece of watercolour paper / card – you can use the candy cane template in the Candy Cane Unit or draw your own. 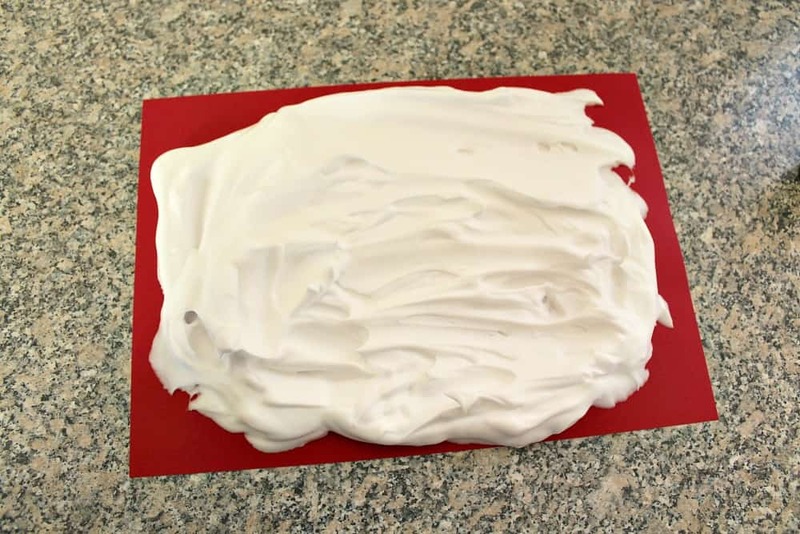 Squirt out a wide area of shaving foam on to a piece of card or other flat surface. Use droppers or a teaspoon to place food colouring or liquid watercolours on the surface of the shaving foam. 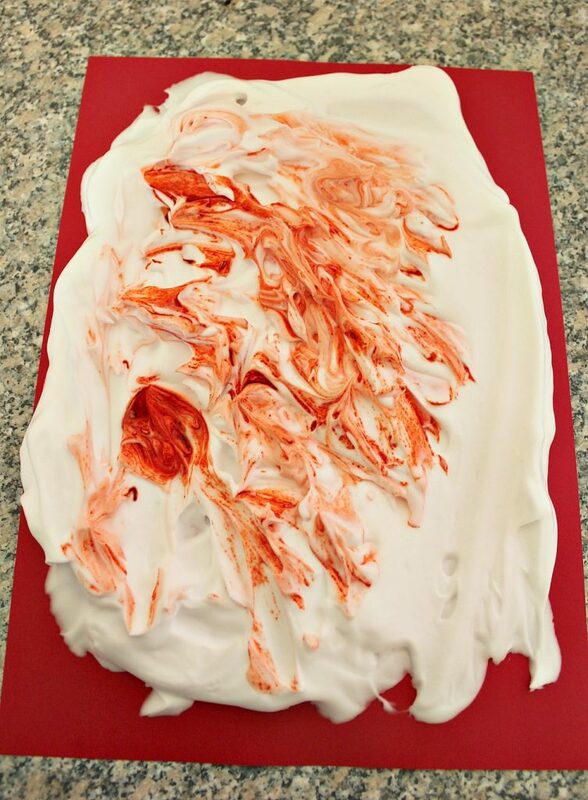 Use a teaspoon to swirl the colour through the shaving foam to create a marble effect. 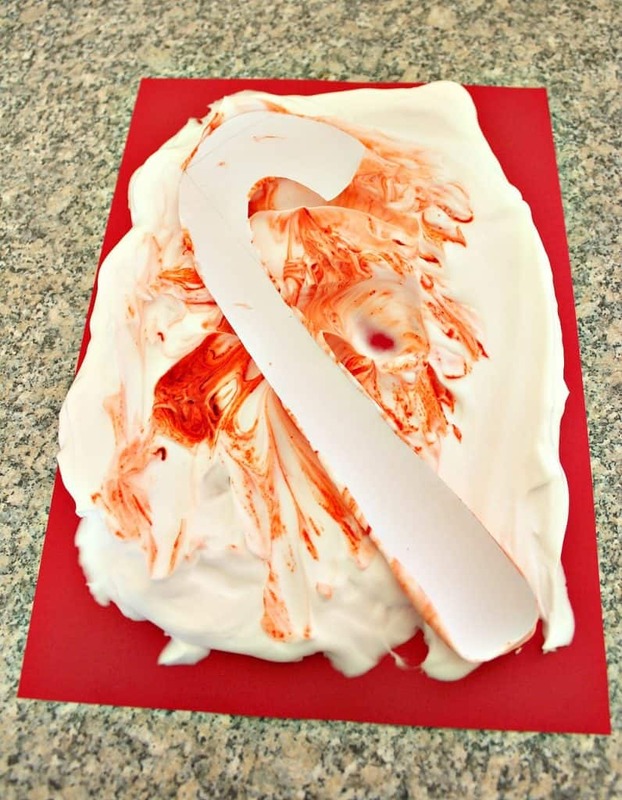 To make a print, carefully press your candy cane template onto the surface of the shaving foam. Press down gently so all of the surface of the candy cane comes into contact with the shaving foam. Carefully peel the candy cane off and then use a piece of kitchen paper or a dishcloth to wipe (in one smooth movement across the card) the shaving foam off your candy cane. Your marbled print will be revealed. You can repeat this process as many times as you like, adding another clean layer of shaving foam if needed. Enjoy the process of mixing the colour through the foam, and swirling and blending. 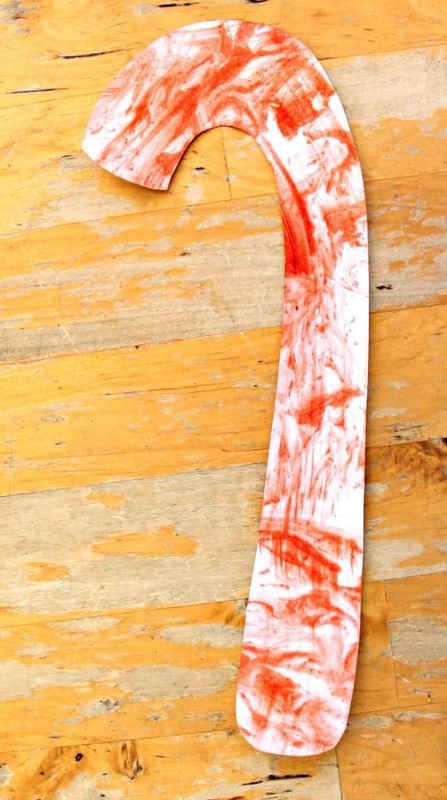 Lay your printed candy cane(s) down on a flat surface until the paint is dry. These candy canes look wonderful strung together to make bunting.